David Myers’ Hinoki & the Bird is the focus of a new short film from Gab Taraboulsy’s Delicious Cinema. It’s beautifully shot, sensual, and smoky. Don’t miss Executive Chef Kuniko Yagi’s cameos! 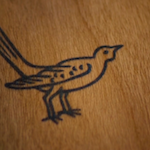 Hinoki and the Bird from Delicious Cinema on Vimeo.